Lucklight brings us an entire hour of asking the question that's been on everyone's mind. Will we find out who the good boy is? I think we will, yes we will. SUPPORT THE PLA: Join the Elite Hobo Squad or just support PLA with Patreon to get extra weekly shows and other occasional perks. Buy PLA t-shirts in our Spreadshirt store or our TeePublic store. You can find other merch on our Bandcamp page and on our own store page. Make a donation, shop on Amazon through us, take a look at PLA's wishlist, or just support us by helping out with promotion and reviews. GAME WITH PLA: If you're into the game Rust, play with PLA! The server address is 209.222.110.59:28015, or search for "rust rejects" in server list. If you're into GTA5, join the PLA Radio crew. And if you like wasting half your life away tapping on things in Simpsons Tapped Out, add a few of us PLA addicts, such as rbcp, bradbcp, sunshine_thc, zaxintel, carlitus-x, matthilloc838, and others listed in this thread. PLA FRIENDS AND STAFF: Nik Caesar from scary-art.com is the unofficial PLA artist. Buy PLA designs from Nik's Spreadshirt store and support him on Patreon. You might also like the cactus and PLA designs in Laugh Track Matt's store, Olga's store, and WhatsYourFace's store. And while you're doing all that, go watch JIAD's Calls of Mass Confusion. Yes! A new segment with Arbie! I think you would have more success talking to dogs if you talked their language, i.e. play sounds of dogs barking or howling. My dog always used to react to a dog barking on tv. Arby, you’ve gotta do some job interview pranks! Carlito did a brilliant job with it, but I can only imagine the level of awkwardness and rage you’d bring people to doing that prank. Keep up the great work! 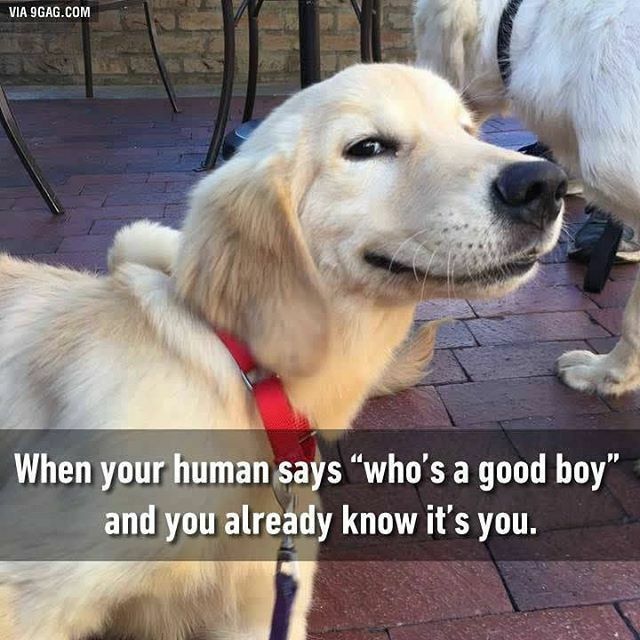 You’re a good boy! Yes you are! You need a dancing partner to practice with because you want to surprise your wife for your anniversary. “Please say yes. We are growing apart in our relationship and I want to reignite our love. Not with us two obviously. Me and my wife”. When he/she says no you say ‘I COMMAND you in the name of love to practice dancing with me’ etc etc.